Don't despair Jarvis, we have an alternative! 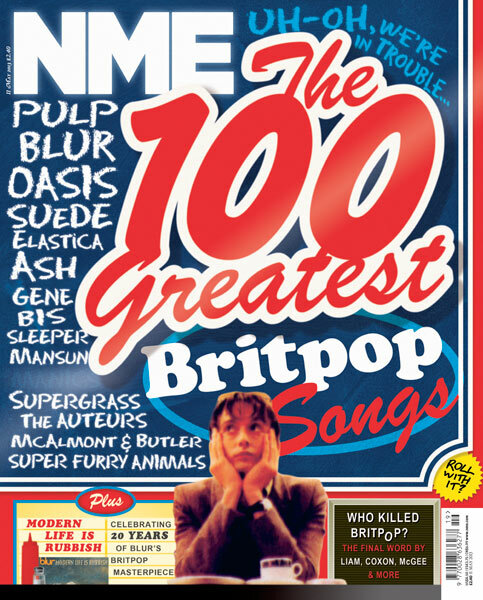 Recently the NME had a Britpop issue and selected the 100 Greatest Britpop songs. The songs were all good, I've played most of them on the show, but to be honest it was all a bit predictable. So I asked our followers on Facebook and Twitter for what they considered to be the best of Britpop, but avoiding the behemoths. Yes, we could still have Blur, Pulp, Oasis, Suede etc. but no Wonderwall, Common People, Parklife - you get the picture. And did they respond? Oh yes - hundreds of songs were suggested. Plenty of them were hits in their own right but some unexpected songs from well known bands (Last Day Of The Miners Strike by Pulp for example) and even some bands I'd not heard of; The High, Headswim & Nancy Boy! 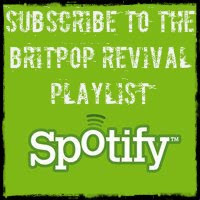 As it happened our monthly Phonic FM show was coming up and that seemed like the perfect opportunity to play some of these songs in our own highly subjective Alternative Best Of Britpop! Now I'm normally very prepared for our monthly live Britpop Revival Show. I have most stuff laid out on my laptop in advance, with a back up on my phone just in case and finally in reserve a big bag chock full of assorted Britpop CDs. I load a couple of CDs into the players in the studio just in case, but not this week. No, the laptop always worked so why bother? I get everything plugged in, settle down, say hello to the listeners, "and we'll kick off with this from McAlmont & Butler"! Dead air, the cardinal sin - even at this level. I start pressing buttons, more in hope than expectation. Okay, time to switch to CDs - the Alternative Best of Britpop idea going out the window, I just need to play something. Why didn't I pre-load a couple? Where is my big bag of CDs? Of course the ones on top are my recent purchases, stuff I haven't even listened to yet; Warm Jets, Smaller, Geneva's much ignored 2nd album. I dig deeper and pull out Symposium's Farewell To Twilight, I've played it not long ago but it'll do. I cram it into CD drive 2, apologise to the listeners, fade up and relax. But no, still silence and now I get the feeling that I am doomed. Fortunately Spencer, the presenter of the previous show, is still in the studio and calmly points out that I've simply selected the wrong CD drive. Fade up, music plays and offer many, many thanks to Spence whilst we finally get the laptop working. 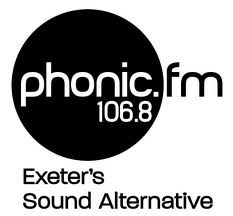 Phonic is a community station, run on a shoestring by volunteers. There are no engineers or producers (well not for most of the shows) and when things go pear-shaped you realise how little you know about how the studio works. So my objective now is to get to grips with all this gear properly. After all that the rest of the show went smoothly enough, apart from cutting short Oasis' Slide Away with some bongos. The joy of live radio. Thanks to everyone who suggested tracks or who got in touch on twitter during the show.